Using series of expletives, Cee-C tackled Tobi, her former love interest in the Big Brother Naija house, on Wednesday. It all started when Tobi said he does not like Cee-C anymore. Cee-C, who had up until that point been secluded by the other housemates, flew into a rage and embarked on a scathing reprieve of Tobi. “Come and face me, the only thing you know how to do is gossip. In a matter of weeks, you will understand how stupid, worthless and useless you’ve been to me in this house. At this point, Alex tried to intervene by saying, “Cee-C, it’s okay” but she sharply retorted, “Alex, it’s not your business. Let me face him”. And she continued: “Your likeness got me nominations [for eviction]. Your likeness was stressing me the f*** out.You spent all your days in this house gossiping Cee-C, painting a bad picture. But Cee-C was adamant to press home her anger. She said: “It’s not okay. You have been a child all through in this house. Nothing more, Today, it’s Anto, tomorrow it’s Alex. “If you are a man, talk. I want you to talk. You have learned absolutely nothing in this house. “If you have any issue with me, come and face me like a man let’s talk. If not, keep your name out of your stinking mouth. “You are a worthless piece of s***. Go and become more. You have absolutely nothing to give. “This is a build-up of all the irritating things you’ve been doing in this house. You have been irritating in this house. “You put me up for nominations so many times. It didn’t work. I even survived more evictions than you. You’ve been trying to get me out of this house but it didn’t work, young man. Stop burning your energy. 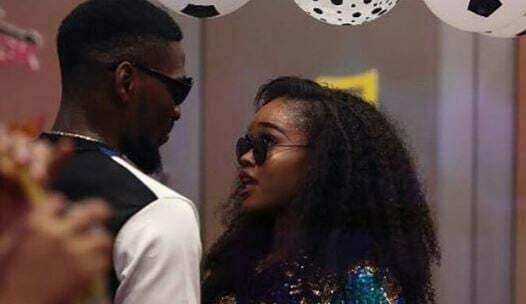 Afterward, the tables turned around and Tobi started pestering Cee-C.
At some point, Biggie intervened and called Cee-C into the diary room. She returned from the diary room with news that she was to be replaced as head of house. Despite the pervading tension, the housemates’ task of the day is to keep on smiling, no matter how they may feel.